I love making these! They make fun little coloring projects and are lovely decorations for parties. Take a strip of paper (any size you like, just make sure it is long and narrow) and fold it into the shape of an accordion. The number of folds will be the number of people in your chain. 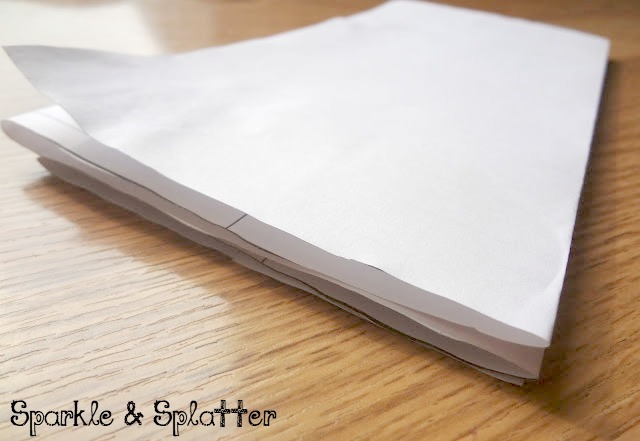 Draw a person on the top of your folded paper...here's the trick to make them stay connected...make the arms go off the edges of the paper, so when you open it up, they will be "holding hands"
Now open up your people! Aren't they sweet? Experiment with different people shapes and different kinds of paper too for different effects. Follow Sparkle & Splatter on Facebook to get all of the latest and greatest updates! Thanks for reminding me of these, I loved making them as a kid :) I plan to make them with my girls this weekend! So fun! 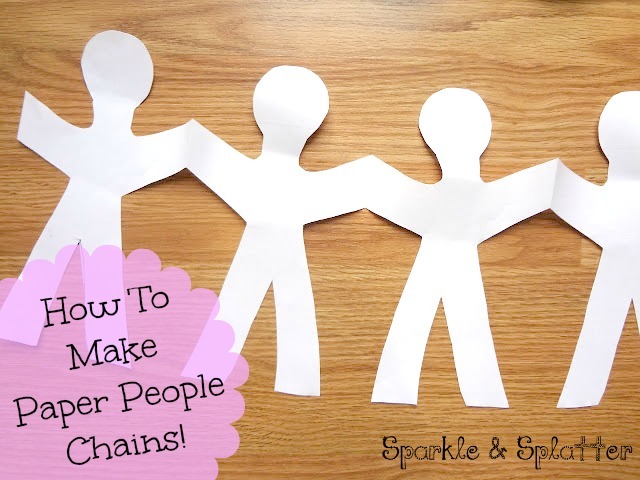 I can't wait to try making some paper chains with my preschool kids. Thanks for sharing at Mom's Library! You're so welcome, what a fun site!